Amazon Connect, a simple to use, cloud-based contact center service, now provides a real-time performance dashboard so that you can quickly monitor the overall health of your contact center. The dashboard provides visibility into important information, which helps you deliver a better customer support experience, and improve the utilization of your agents. You can use the comprehensive dashboard to define and monitor the service levels and agent occupancy performance indicators that are most important to you. You can configure the dashboard so that the metrics you care about are always visible. This allows you to identify issues and address them quickly. You can configure your dashboard from the home page of your Amazon Connect contact center instance. 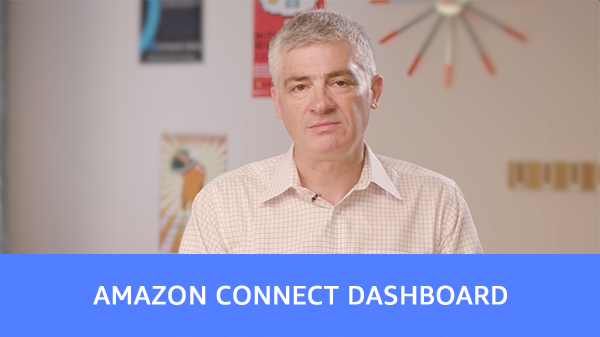 The Amazon Connect dashboard is available today in all AWS regions where Amazon Connect is offered. There is no additional cost to use Amazon Connect dashboards. You can set up your first Amazon Connect contact center using the AWS Free Tier. Visit the Amazon Connect website for more information.